I’ve seen people drawing 500-mile radius maps around Leith to figure out where that’d take you. 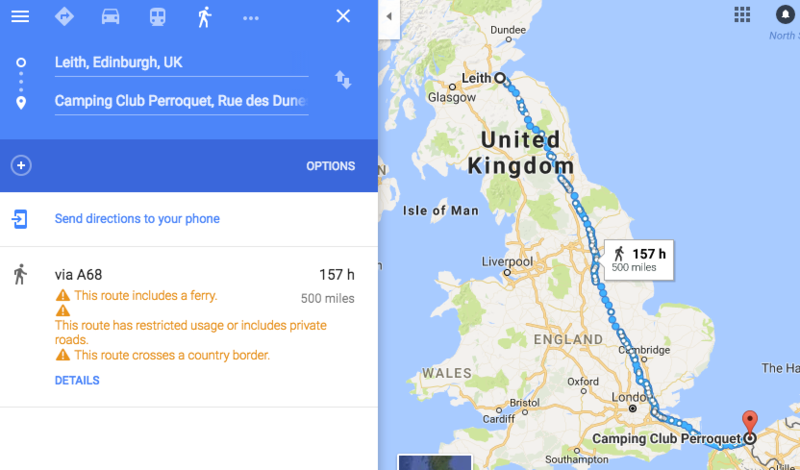 However, given the lyrics clearly specifies the mode of transport is walking, I realised you can do so much better and use Google Maps option to establish exactly where that’d take you by clicking the appropriate icon. I’m not sure I’ve ever been to Aabenraa, but it almost makes me want to go there.